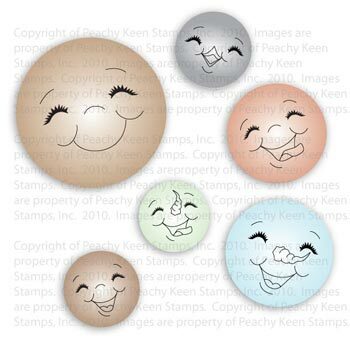 It’s…..Peachy Keen Stamps Let’s Face It Friday and my BIRTHDAY! That makes me very happy, so I’m meshing the birthday celebration with this PKS challenge. We were tasked with creating a project using a paper bag. Tricky! This was definitely a challenge for me. I ended up using part of a cardboard box, and heaven knows I get plenty of boxes delivered to my house this time of year! hee hee. 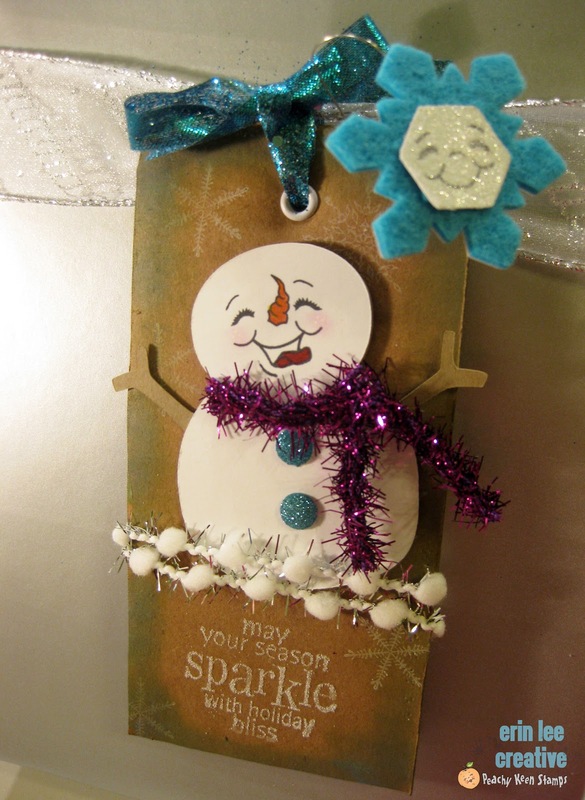 This is a tag I made using cardboard, Doodlecharms cartridge (snowman), distressing inks, Martha Stewart glitter, Unity Stamps (snowflake and sentiment), ribbon, other embellies and….Peachy Keen Stamps Happy Lashes! I’m obsessed with making tags right now. Speaking of PKS Happy Lashes, who wants to win the Happy Lashes Face Assortment? OMG! This prize is SO awesome isn’t it?!?!?! Just comment on this post what your favorite thing to make is during the holidays for a chance to win! Good luck!